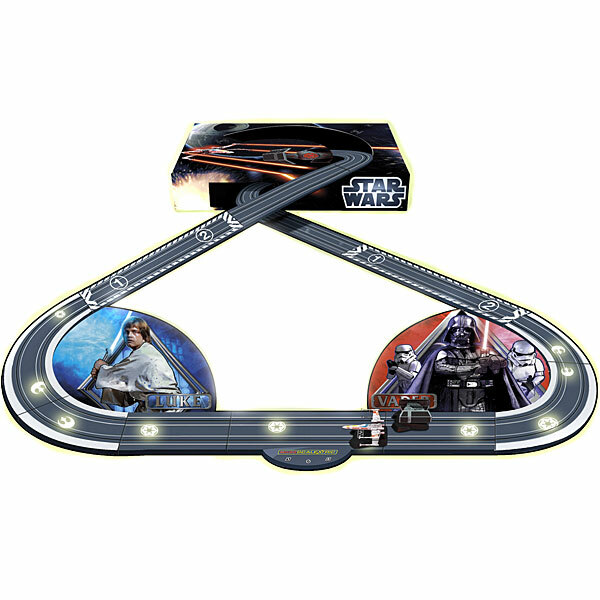 Scalextric tracks are easy to use, featuring a push-together and pull-apart system to keep assembly simple. 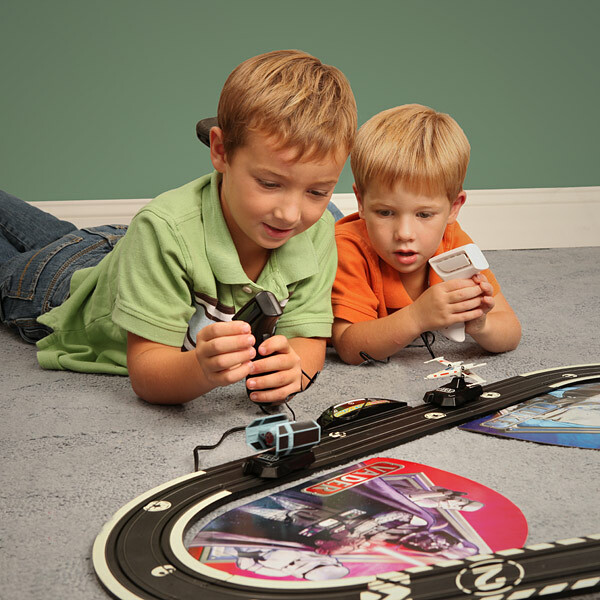 The hand controllers have variable setting to help your wee geeks learn how to play at a slower setting before turning up the speed. 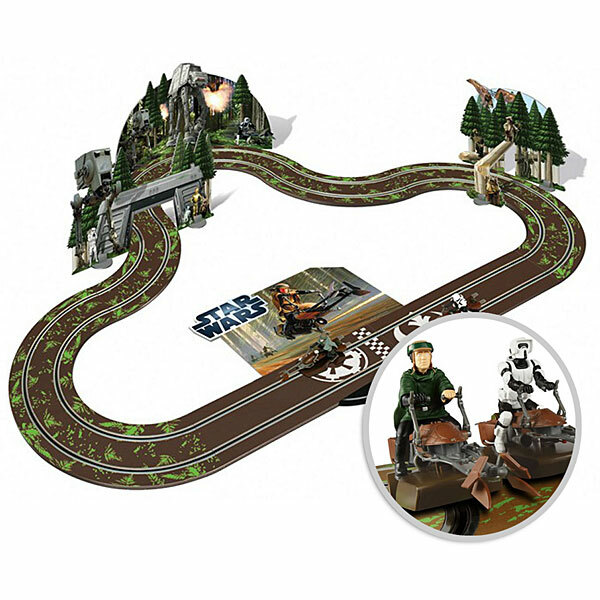 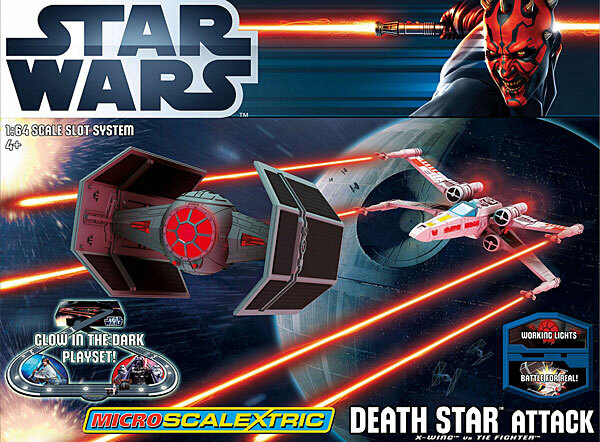 A great gift for sharing your Star Wars love with your wee geeks.